Marco Carola’s Music On has announced the lineup for their 2018 festival in Amsterdam. 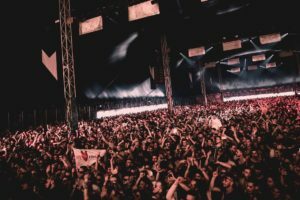 Leon, Stacey Pullen, Paco Osuna, The Martinez Brothers and Marco Carola will headline the main stage for Day One, while Oxia, Miss Kitten, Claude Von Stroke and Apollonia will be at the controls on the second stage. Day Two will feature Joey Daniel, Loco Dice, Luciano and Marco Carola on main stage duties, whilst Benny Rodrigues, Paco Osuna and Sam Paganini take care of Stage Two alongside a back to back from Secret Cinema and Egbert. The event takes place on 5 and 6 May at new location, the Havenpark space, which is 20 minutes from the city centre, and the party will run for 11 hours each day.